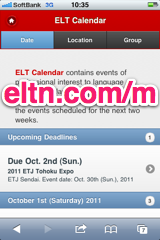 ELT Calendar Hiroshima City, Hiroshima Prefecture, for language teachers in Hiroshima City. Events of professional interest to language teachers in Hiroshima City. There are no upcoming events scheduled for Hiroshima City. You could try the Hiroshima Prefecture Calendar, or use our advanced search page. Here are some of the past events in Hiroshima City. First line of description: Rescheduled to July 29 due to heavy rain; please note new venueFour graduate students from Hiroshima University Graduate School of English Language Education will speak about exciting new research which they are currently conducting. First line of description: The e-Clinic, an English language support center at Shimane University, hosts lectures, provides resources, and allows teachers to give advice about English study. First line of description: While parents and educators seem to universally agree that reading with children is beneficial, the specific benefits perceived may differ. First line of description: This presentation will briefly introduce empirical research findings which all too often fail to influence university vocabulary program design. First line of description: This presentation will introduce reflective practice, the reflective cycle and how making connections between past and present experiences can engage teachers in a meaning-making process that moves them towards an understanding of their teaching practices that informs their future experiences. First line of description: The setting up of a major new department-wide university English-language curriculum for first year students presents valuable opportunities to consider afresh what should be covered, and how. 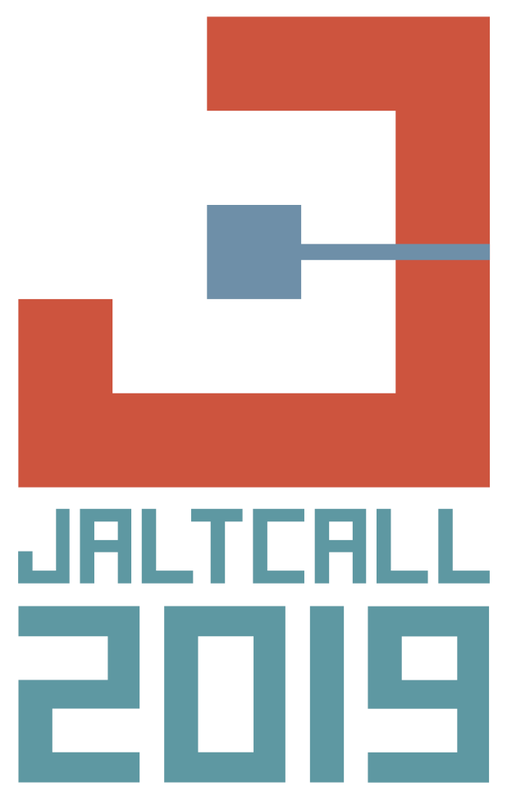 First line of description: Hiroshima JALT invites you to submit a proposal to make a presentation at our 2017 Conference & Book Fair. 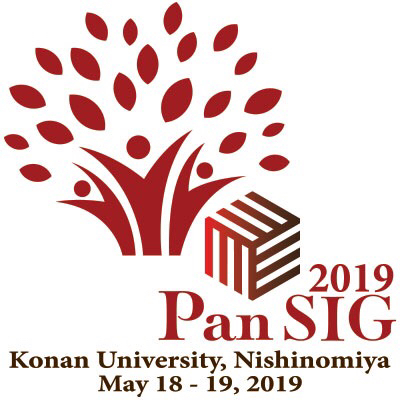 First line of description: On behalf of the organizing committee, we would like to welcome everybody to OLE 6 Hiroshima: The Past, Present and Future of Second Foreign Languages in Japan. (1) English Use Outside of the Classroom: L2 Learners or ELF Users? (2) EIL Language in the Era of Globalization in Japan: How do we manage the imbalance of power of language? First line of description: Presentation 1: English Use Outside of the Classroom: L2 Learners or ELF Users? English is used as a lingua franca (ELF) among those with different languages and cultural backgrounds in this era of globalization. First line of description: Learners who struggle with a foreign language often suffer from feelings of alienation and failure, and may be seen as lazy or unmotivated. First line of description: While sentence-level ideologies may be readily engaged in the classroom, those manifesting across an entire curriculum are often less apparent. First line of description: Do your students (or you!) regard "process writing" as a remedial technique designed for struggling writers or low-level language students? This workshop takes participants through all stages of the writing process: brainstorming, organizing, drafting, editing, and rewriting, to demonstrate its usefulness and efficiency for any level of young adult or adult writer (including native speaker). 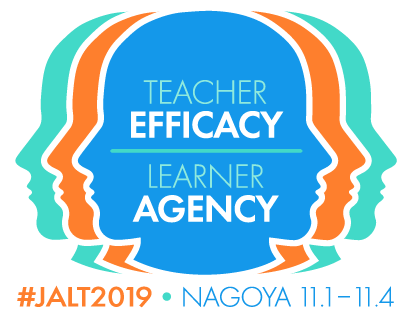 First line of description: Are you presenting at the JALT National Conference in Nagoya Nov.